When the temperatures start to drop, the leaves begin to fall, and pumpkin spice lattes make their return, it’s time for Low Voltage Solutions to begin preparing for a timeless Denton tradition — the Day of the Dead Coffin Races. Denton’s Day of the Dead Festival takes place every year to celebrate fall, Dia de los Muertos, and Halloween. It includes great food, art vendors, and games for the kids, but the main event is the Coffin Races. Teams build “coffins” that race each other down Hickory Street, and each year we have multiple Low Voltage Solutions teams competing for the top prize. This year we’re bringing out 4 teams: The Punisher, Pegleg Pete and His Pirate Pals, Coche de Muerte, and Gravity Fed. Everyone loves rooting for all the Low Voltage teams...until it’s time to compete against one another. Then the trash talking is on! The rivalry is fun and lighthearted, and the Low Voltage teams compete for a special Low Voltage Solutions trophy. Denton Day of the Dead is another way we contribute to our “work hard, play hard” values, and it’s a wonderful time for managers, employees, owners, and their families to come together and enjoy friendly competition and the fun fall atmosphere. 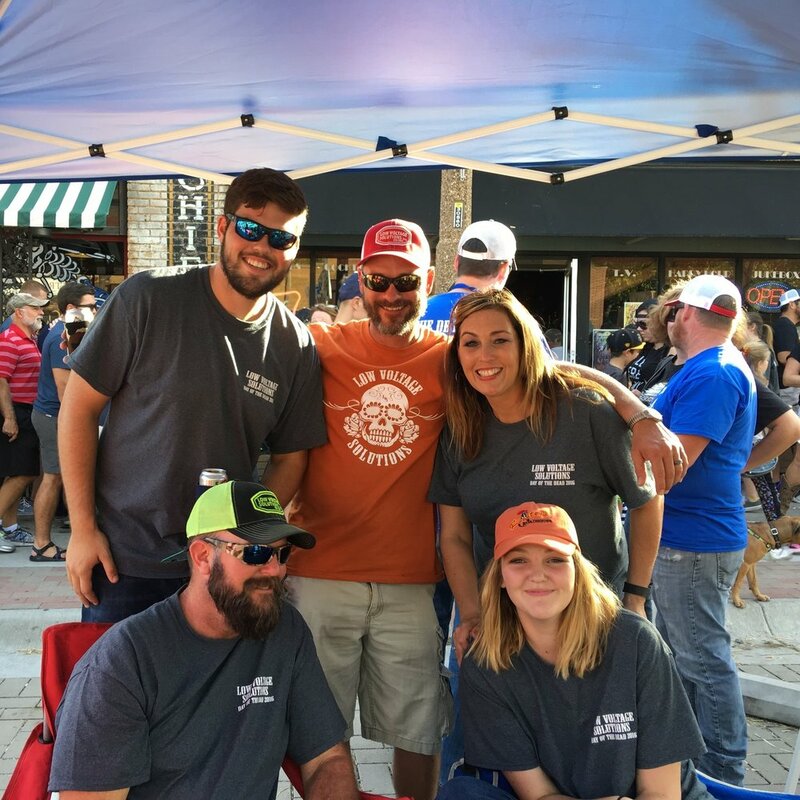 Come out to the Denton Square on October 28th to cheer for the Low Voltage Solutions teams, and find out who wins the coveted trophy this year! LVS at the 2016 Denton Day of the Dead Festival! Last year, The Punisher took the LVS trophy. Who will be this year's champion? !